SYKESVILLE – When three-month-old Leah Therese Ballor was baptized at St. Joseph Catholic Community in Sykesville Jan. 20, she continued a family tradition by wearing a gown that has roots with an aunt who was a Daughter of Charity who had served in China in the late 19th and early 20th centuries. Sister Catherine Buschman was born as Dorathea Thumel shortly after the Civil War, and grew up on Charles Street in Baltimore. Shortly after she was married to Charles Buschman, he took ill, never recovered and was buried on their first anniversary. The experience in nursing led her to join the Daughters of Charity of St. Vincent de Paul in Emmitsburg in 1892. According to family lore, she developed an interest in caring for babies in China. The U.S. Daughters of Charity did not serve there at that time, so just a few years after joining the order, she transferred to the Province of France – where she learned both French and Chinese – which allowed her become a missionary to Shanghai, where she served in a hospital. According to her biography written by a niece, Sister Catherine was the first American Daughter of Charity to serve on mission in China. Sister Catherine never returned to the United States, but kept in touch with her family through letters. One mailing included fabric made in China – fine white material detailed with delicate embroidered flowers. The fabric made its way to Aloys Weber, Sister Catherine’s nephew. From it, his wife, Irma, crafted a first Communion dress for their daughter, Norma. Now 88, Norma Weber Cetnar Hart remembers wearing the dress May 8, 1938, at St. Catherine in Detroit. Her mother reworked the dress into a baptism gown for Norma’s children, who also grew up in Michigan. One of them, Beverly Ballor, moved to Maryland in 1973. 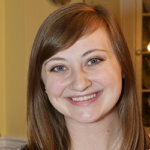 Her children, Kristen and Timothy, were baptized in the gown at Church of the Crucifixion in Glen Burnie in the early 1980s. All of Norma’s descendants have donned the baptismal gown. 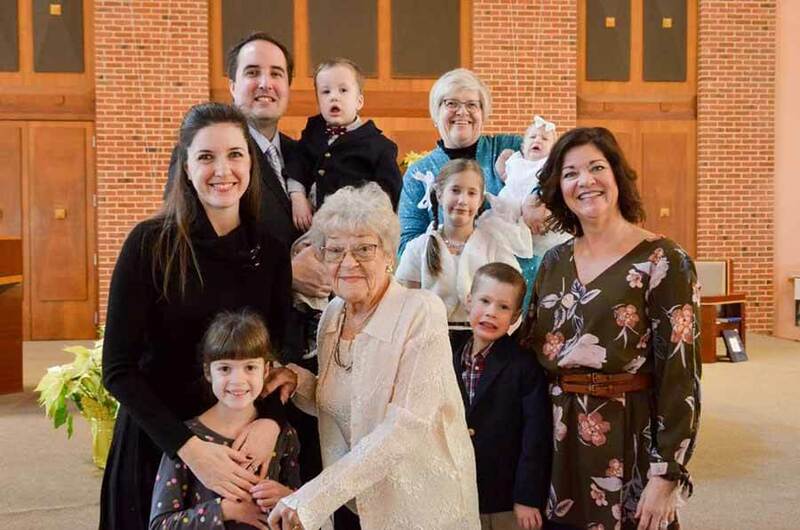 That includes three children, six grandchildren and now five great-grandchildren with the January baptism of Leah. “It’s really a thrilling thing,” Norma said. 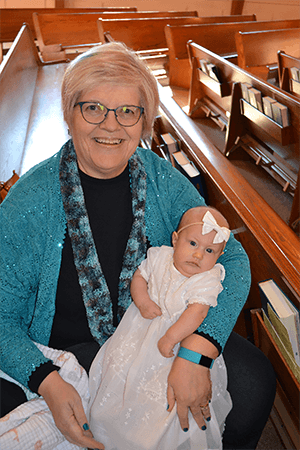 That most recent baptism was held at her home parish, St. Joseph in Sykesville, where the faithful include her daughter, Beverly; as well as Beverly’s children and grandchildren, four generations in all. Beverly is the “keeper of the gown,” as well as a copy of Sister Catherine’s biography, “Celestial Honeymoon,” written by Norma’s aunt, Elizabeth Weber. It has been more than 80 years since Norma first wore the dress, but the fabric and stitching are holding up well. “There’s definitely a few more babies who can wear this,” Beverly said.